Expanding a business often means starting from scratch. This means purchasing furniture, office equipment and more — a significant financial investment. 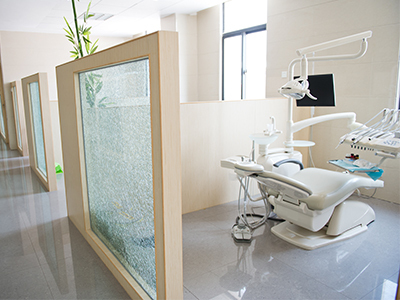 When a California-based orthodontic practice considered building out a second location, a strategic financing solution was critical. While the practice could have pursued a local financing option, they were a longtime City National Bank client and knew First American was an experienced partner. For the client, entrusting First American to structure a competitively financed lease package was the obvious choice. Over the course of six months, First American worked diligently with the client to finalize equipment needs, pricing and a lease structure. However, as the lead orthodontist serving a growing client base, the practice owner lacked the time to attend to the financing details. He therefore delegated much of the First American contact to his director of operations. To best meet the client’s needs, First American structured a fixed fair market value (FMV) lease with a base term of 54 months, a 10%-15% balloon payment at the end of the base term, and a six-month extension option. This structure offered the client lower monthly payments, a lower interest rate and a known cost of ownership at the end of the lease’s terms — an ideal solution. Throughout the financing process, First American managed all of the details and kept both the practice owner and the director of operations well informed. This meant that when the lease agreement was ready to execute, all parties were able to move forward quickly. Because of this diligent preparation and communication, the project was approved and financed quickly, resulting in no delay in getting the dental equipment and furnishings the practice needed to open the second location. Plus, the low monthly payments meant a minimal effect on cash flow – a strategic financing decision that paid off. And because First American served as the project manager to oversee deliveries and invoicing, the practice could focus on what it does best: serving patients. The client was so pleased with how First American addressed this urgent need, they’re now discussing a second schedule for larger office equipment, allowing the practice to continue growing and serving its clients.